Early this morning HTC took the wraps off of a new phone that will be exclusive to Sprint, the Bolt. Not to be confused with the old HTC Thunderbolt, the Bolt is a somewhat less than flagship phone that roughly follows the same path as last year’s HTC One A9, offering another take on a high-end phone design with a slightly different configuration. Coupled with its change in hardware, the Bolt also serves as a network showcase of sorts for Sprint and their latest-generation LTE Plus network. Camera 20MP Rear Facing f/2.2, 1.12µm, 1/2.4" (Toshiba T4KA7) 12MP Rear Facing w/ OIS and laser AF, f/1.8, 1.55µm, 1/2.3"
Starting as always with the specs, while it’s obvious from the announcement that the Bolt is not meant to be a true competitor to the 10, I must admit the choice of hardware surprised me. HTC has opted to go with Qualcomm’s struggling (and at this point relatively old) Snapdragon 810 SoC, a staple of 2015 flagship phones that combined 4 ARM Cortex-A57 cores with 4 ARM Cortex-A53 cores and built on TSMC’s 20nm process. The fact that this phone is meant to be below the HTC 10 rules out Snapdragon 820. And HTC stated that one of Sprint's requirements was the ability to do 3x carrier aggregation, which rules out the Snapdragon 600 series. The Bolt's development cycle was also shorter than usual, so HTC needed to stick with an SoC it had previous experience with. Using the Snapdragon 810 does give us a good idea of what to expect for phone performance, and performance stability, though. In terms of physical design, the Bolt is not much different than the 10, and I imagine that was intentional. With a 5.5-inch 2560x1440 display the phone is larger than the HTC 10, but it retains the former’s general curved design and button placement. This gives HTC’s latest phones a common style to them, which for HTC helps them stand apart from the likes of Samsung and the other Android handset vendors. The display itself is one of HTC’s Super LCD3 panels, the same generation as the HTC One M9. The big news for HTC and Sprint here is of course the cellular connectivity. 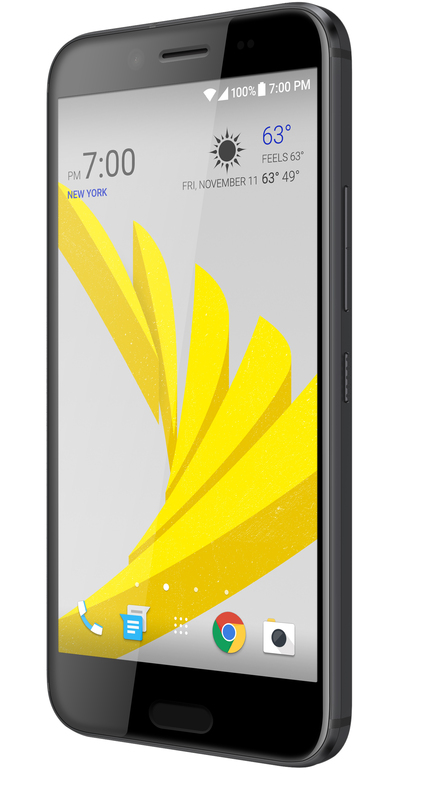 Backed by the Snapdragon 810’s integrated X10 mode, the Bolt is meant to showcase Sprint’s LTE Plus network. LTE Plus specifically takes advantage of carrier aggregation, with Sprint offering LTE on 800MHz, 1900MHz, and their recently recovered 2.5GHz spectrum. In the case of the Bolt, this allows for aggregating up to 3 20MHz channels over those bands. And though it’s beyond the scope of a news article, I’m curious as to how well 2.5GHz is working in practice for Sprint, given the greater hurdles that come from its reduced ability to penetrate buildings. Otherwise many of the phone’s features and specifications are consistent with other high-end Android phones, including a fingerprint sensor and USB Type-C connectivity (albeit only 2.0 speeds). 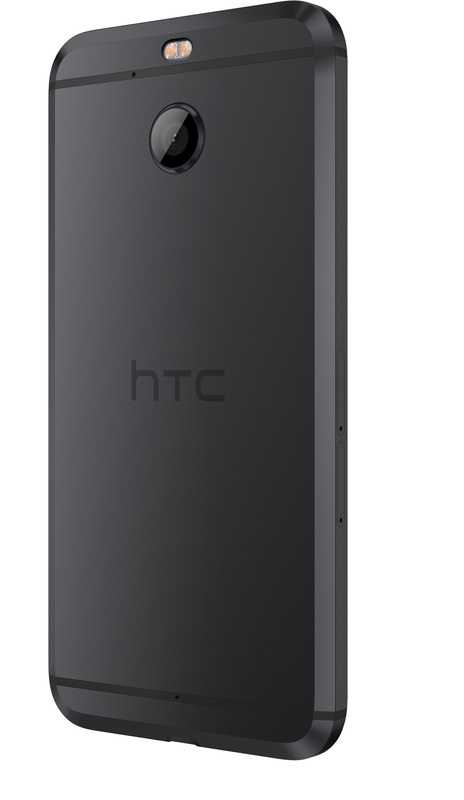 Meanwhile, relative to the HTC 10, HTC has gone with a higher resolution rear camera here, utilizing a 16MP sensor versus the HTC 10’s 12MP. Though specific sensor information isn’t available, the overall camera module is on the higher end, incorporating OIS and phase-detection auto focus. Further in the Bolt’s favor, the phone is IP57 rated. This is a rating we don’t see too often, and relative to the more common IP67 means that it has the same degree of water resistance as some other phones, but lower dust resistance, merely being protected against dust, but not completely sealed against it. Powering the phone is a size-appropriate 3200mAh battery, which means we’re looking at a 7% capacity increase versus the battery found in the 5.2-inch HTC 10. And as this is a Snapdragon 810-based phone, it supports Qualcomm’s Quick Charge 2.0 rapid charging technology. However on the other hand, inexplicably missing is a 3.5mm headphone jack; despite the fact that this phone is larger than HTC’s other phones, the company has gone the Apple route and removed it. Instead HTC offers a set of USB-C headphones, otherwise you’ll need to track down a USB-C audio adapter. On the plus side, however, the phone does feature a microSD card slot, for users who find the single 32GB configuration to be too small. Finally, the Bolt is the first HTC phone that will ship with Android 7. As usual, HTC is applying their Sense UI to Android, which has itself been upgraded to keep up with the latest release of Android. Wrapping things up, as a Sprint exclusive, Sprint will of course be handling distribution. The carrier is listing the phone at $600 ($25 x 24 months), and while the Bolt is not being positioned as a flagship-level phone, the pricing unfortunately isn’t going to be too far off. 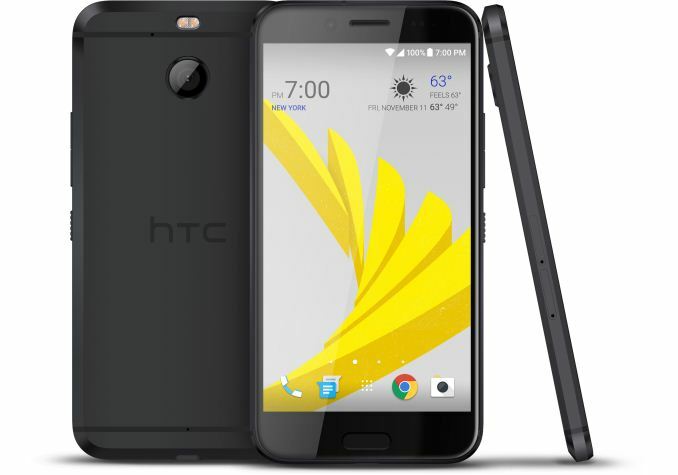 As we noted in yesterday’s buyer’s guide, you can already find the HTC 10 for $549, which makes the Bolt the de facto more expensive phone, a somewhat awkward position, all things considered. Copy the Lumia 950XL? Not even close, no idea where you came up with this. But yeah, this phone is way overpriced, and considering its on Sprint makes it even worse.